Michael Oher is a teenager without a home. He has a good heart, but his family is undependable and his neighborhood is unsafe. He catches the eye of the Tuohy family – they take Michael under their wing, provide him with shelter, clothes, and love. He fits well in their family. 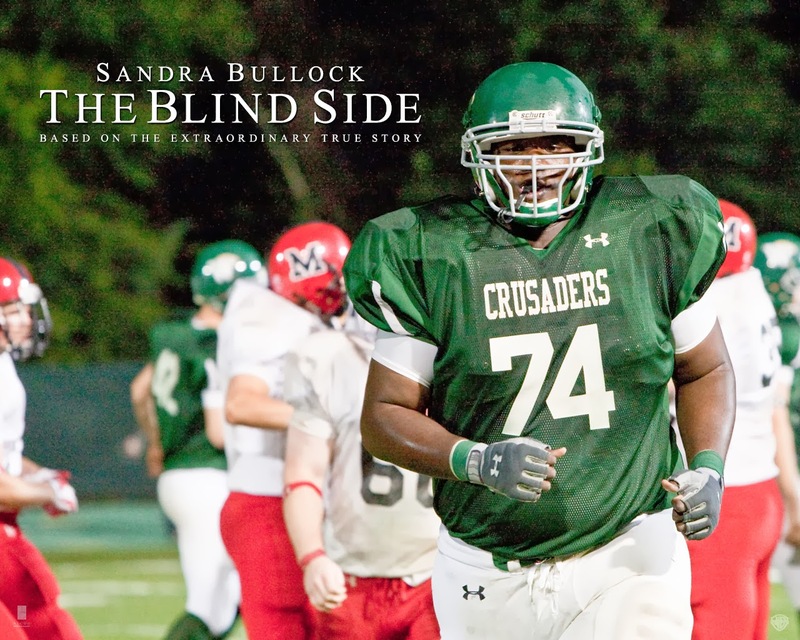 Encouraged and supported by the Tuohys, Michael begins playing football at the school and quickly excels. When he is recruited by colleges, an NCAA representative finds it suspicious that Michael has chosen to attend the school preferred by the Tuohys. The agent raises the question – why would the Tuohys have cared so much for Michael unless they were doing so to influence his decision. This shakes Michael’s world – because he had come to depend on them. Michael is able to openly communicate his fears (even about the Tuohys) to Mrs. Tuohy. Mrs. Tuohy is a bit pushy, and kind of forces her help on Michael. She eventually does ask him what he wants. Most of his file has been lost by the social service agency that had handled his case. Michael is not able to get his birth certificate, but the Tuohys promise to help fix the situation. Their attention to his needs is great, but when he graduates, they use a generic photo in place of his missing baby photo. The portrayal of Michael’s community and birth mother is pretty negative, and could unintentionally play into the stereotypes that the film overtly tries to counter. The Blind Side is a positive movie. It enjoyed success in the box office, and it deserved it. Well-acted, with lots of positive stuff to love. This one is good for ages 10 and up, with the caveat that there are a couple frightening scenes of violence in Michael’s home community. What’s the difference between charity and parenting? When did Michael become a part of the Tuohy family? Was it in stages or all at once? Enjoy the big game this weekend! A while back, Lori Holden also reviewed this film. Check out what she said. This review was published previously.